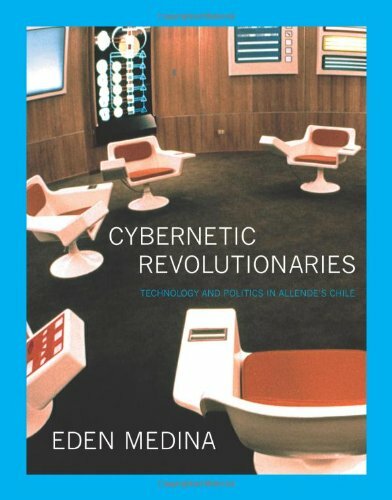 In Cybernetic Revolutionaries, Eden Medina tells the history of two intersecting utopian visions, one political and one technological. The first was Chile’s experiment with peaceful socialist change under Salvador Allende; the second was the simultaneous attempt to build a computer system that would manage Chile’s economy. Neither vision was fully realized–Allende’s government ended with a violent military coup; the system, known as Project Cybersyn, was never completely implemented–but they hold lessons for today about the relationship between technology and politics. This article presents a history of ‘Project Cybersyn’, an early computer network developed in Chile during the socialist presidency of Salvador Allende (1970–1973) to regulate the growing social property area and manage the transition of Chile’s economy from capitalism to socialism. Under the guidance of British cybernetician Stafford Beer, often lauded as the ‘ father of management cybernetics ’, an interdisciplinary Chilean team designed cybernetic models of factories within the nationalised sector and created a network for the rapid transmission of economic data between the government and the factory floor. The article describes the construction of this unorthodox system, examines how its structure reflected the socialist ideology of the Allende government, and documents the contributions of this technology to the Allende administration.